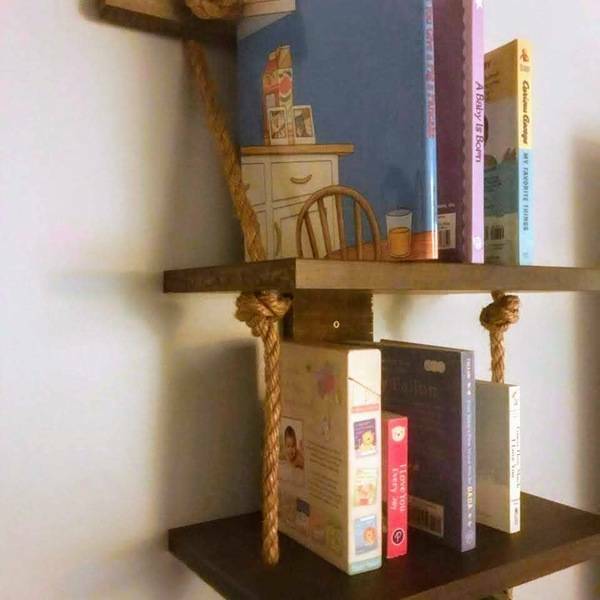 Here we have a rope ladder book shelf that I and the pleasure of building for my son. This will be host to sleep time lullabies, nights of exploration, and all the "mommy daddy, just one more story please" moments. 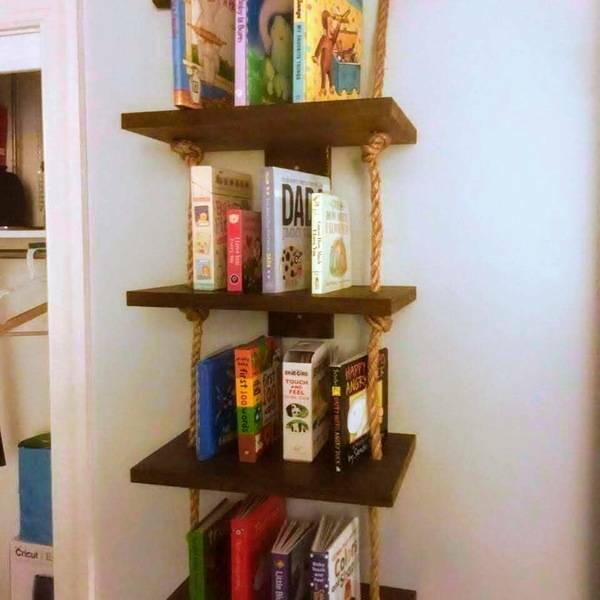 Each shelf is anchored to the wall along with the knots supporting each forward end of the shelf.